Reprinted from the Xavier News September 2017 issue with the permission of the author. 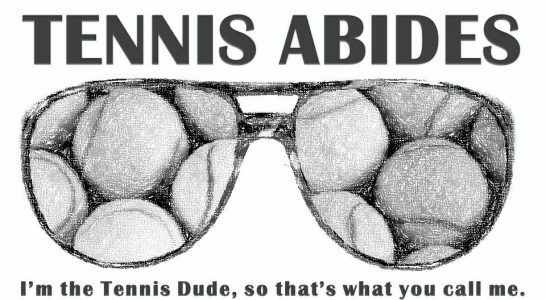 I am hoping to have Tennis Abides focus on both college, junior, and high school tennis in the coming months. For full disclosure, I have been teaching at Saint Xavier High School in Louisville, KY since August 2017. St. X Tennis was able to prevail this past season, even after losing head coach Kerry Lancaster who had led the team to 8 championship wins. Six experienced seniors led the team this past year, along with a some talented juniors. These juniors, now seniors, will be tasked this year with continuing the streak of championship wins for X Tennis. Last year, the team finished with an undefeated season in Kentucky, came in 4th in the DecoTurf National Championship, and 1st place at the Chattanooga Rotary & Edwardsville Invitational. Although many key players graduated a few months ago, the team still has some rocking rackets with seniors Alex Westbrooks, Preston Cameron, Will Stuckert, Matthew Voss, Daniel O’Neil, Andy Keal, and Lucas Fraiser. Star player Alex Westbrooks noted, “As a team, last year was another amazing year as we capped it off by winning our ninth straight title, putting us one closer to having 10 state titles in a row. I have pretty high expectations of the team this year, and I’m excited to see how the younger guys compete. I think I speak for the team when I say we are most looking forward to getting that 10th state title in a row.” Hopefully we can see Tiger Tennis put their consecutive titles into double digits this year.